2016 has been a great year for Irish tourism with over 10.5 million overseas visitors and more Irish people taking holidays in Ireland and generating billions for the local economy. But, what are the best things to do on a holiday in Ireland? Search by location to start planning your next holiday or use the "Near Me" button to find activities in your area. Below we give you ten fun days out in Ireland that won't disappoint. 10. Funtasia, Drogheda is full-on family day out. There is just so much to do. Visit the waterpark, play bowling, go climbing, bounce around the soft play area or play the latest arcade games. The kids will definitely fall asleep on the drive home! Click HERE to learn more or leave your own rating. 9. Titanic Experience, Cobh is a wonderful way to introduce the kids to the tragedy that still captures our interest over 100 years later. They have done a wonderful job with the venue; the last stop before America. Very interesting tour. 8. Airfield Estate, Dublin is described as a field to fork experience. A traditional working farm located near the M50, it is a fun and interesting day out with a fantastic restaurant after the kids have worked up an appetite. Click here to add your own rating. 7. The National Wax Museum does exactly what it says and doesn't disappoint. There are plenty of exhibits to keep all ages entertained. They closed earlier this month in advance of a new city centre venue opening in 2017. We can't wait! Click HERE to leave your own rating. 5. Westport House & Pirate Adventure Park has so much to offer families visiting Mayo with a variety of activities to entertain the whole family. 4. Aquazone, Dublin This water park is a brilliant day out, whatever the weather. Great slides, wave pool, lazy river and great pirate boat for smaller kids. 3. W5, Belfast is an award-winning discovery and play centre in Belfast that children absolutely love. You can easily spend many fun-filled hours here as there are over 250 exhibits. It is only two hours from Dublin and your kids will love the adventure of travelling north. If you have some spare time you can also visit Titanic Belfast, which is just across the road, and make a real full day of it. Click Here to rate or review W5. 2. 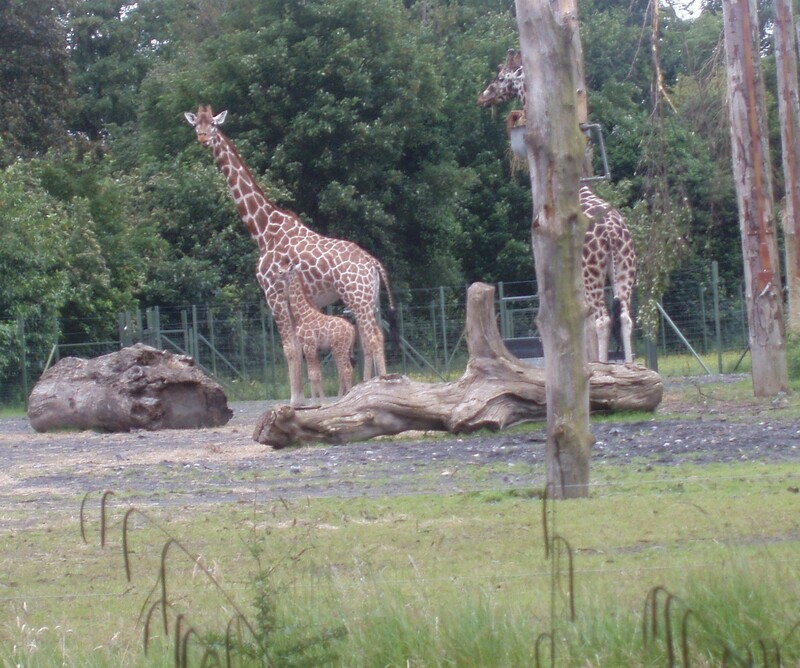 Dublin Zoo continues to break records with over 1 million visitors last year. The work they have undertaken over the last few years has turned the zoo into one of the best conservation and wildlife parks in world. Fantastic family day out. 1. Tayto Park, Meath. Tayto Park provides kids of different ages with a superb, fun day out. The activities, the number of which continue to increase every year, vary from a fantastic outdoor playground, zoo, factory tour and a theme park that features one of the largest wooden roller-coaster in Europe. They also organise a scary Halloween event and a great Christmas experience. Click HERE to add your own rating or review.